It seems that being nice to its customers isn’t something EA cares about anymore. They stopped caring a long time ago. EAs customers are like people in an abusive relationship, no matter what EA does to you you still want to be together. Charles Olson, Theinsanegamer, Bluescreendeath and 8 others like this. Their logo should be Scrooge McDuck jumping into a pile of money wearing an EA shirt. Charles Olson, Theinsanegamer, Uncle Al and 4 others like this. 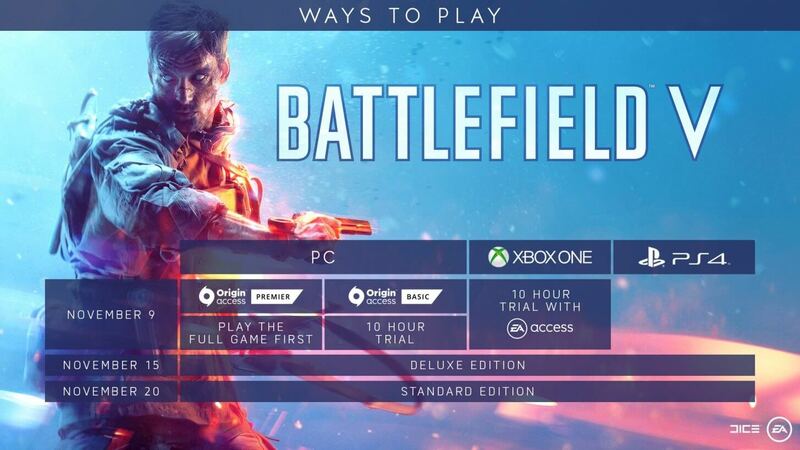 I'd take out an EA subscription except that the only games I buy from EA are the Battlefield ones. An EA subscription is not worthwhile for me. I bought Battlefield V Deluxe and am not too miffed that others can play it before me. It's just a 7 day wait which is better than a 13 day wait. Also , where I live, Nov 15th is just before a regional holiday which is almost perfect timing. Origin access is great for newcomers but it stinks for avid gamers. For me to even think about Origin access I would need at least four to six games on Origin that I have not played already. Nope. BFV is the only one I haven't played and there’s nothing on the horizon at all. There is ZERO value in Origin access for me. MaXtor and hahahanoobs like this. The thing is if you bought it on the console you CAN'T get a refund for what you payed for. Pay to play with bugs. Where do I ask for the free trial? Who is going to pay extra for that slop. DICE isn't what it once was... they have allowed themselves to be taken over by EA's greed and ruined one of the best Franchises of all time. RIP DICE. Came here to say exactly that. Kind of scary how we all acknowledge that EA is abusive towards its customers and that abuse has now became the norm. Theinsanegamer and Nobina like this. If not for ME3 I would delete my O/EA account ages ago. 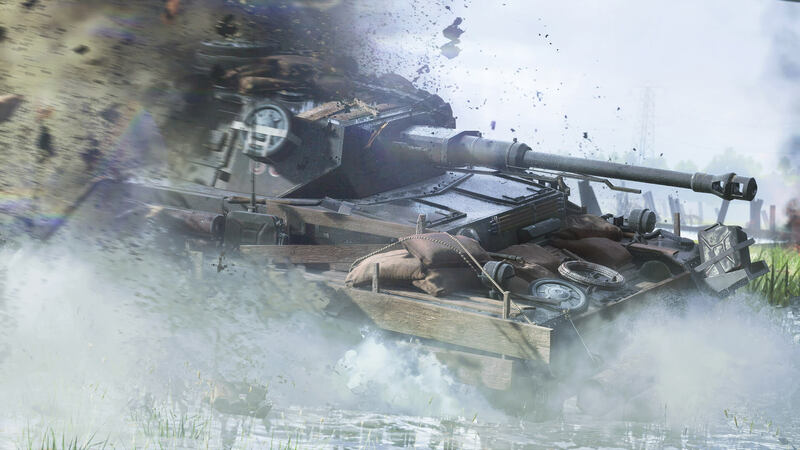 I never cared even remotely about Battelfield series, but it is simply criminal what they doing with BFV release. Are you sure you couldn't sue them in the USA for this kind of discriminating? With a Subscription model, you are buying it and possibly paying more since they hope you like it or forget you're paying it and that is why they get access earlier because the subscription model is more important can be more lucrative than buying the game outright. They're not trying to force you into a subscription model to save you money, that's for sure. You will end up paying more, that's almost a definite. This is EA we're talking about. Only correction I have is, its not costing EA any more money, they just get more money. I'd have thought that actually, a subscription model only, would be cheaper for them, no physical copies, no games on other stores like Steam or GoG or Amazon. Just Origin and downloads. So they'd now get 100% of the revenue and no longer need to produce physical copies. Anyone surprised by this is simply someone who didn't know Origin Access until this point. EA promises early access to games, so naturally buyers who aren't subscribers will play later. A subscription saves money if you're a heavy customer of what it includes. You pay more if you're not originally a heavy customer, but you tend to consume more, so you do get your money's worth. I'd bet that for most serious EA fans these subs save money. EA = give me your money and we dont care what you think after. I highly doubt that, EA, the company that's famous for gouging the consumer for all they're worth (£60 standard edition that has £20 of DLC on day one then proceeds to fill their game with micro-transactions) suddenly decided to save people money. I can guarantee you they'll raise prices or keep the micro-transactions in the game or make you pay a "discounted" price for DLC. Yet the moment you stop paying the subscription you'll lose access to all your games. Theinsanegamer and BSim500 like this. The point is, what EA gains is regular users of its ecosystem. These people will play more EA games at the expense of other games, because they're already invested in it, and because they get access to them. I can understand making people wait before they can purchase. But for anyone that has already spent money on the game, they should have access just as soon as anyone else. subscriptions ABSOLUTELY DO NOT "always save you money". Case and point battlefield V. How does paying $130 a year save you money over buying a $60 game exactly? Companies love to push subscriptions because a lower monthly cost (that adds up to WAY more over the long run) is easier to get people to swallow and promote. Car loans do the exact same thing, pay day lenders do the exact same thing. Micro transaction games make WAY more money despite somehow being "cheaper" then full price games. Companies do not go out to save you money. They would go out of business if they did that. Companies, especially media companies like EA, are always looking on how to make more money in the long run, and subscriptions are a fantastic way of doing that. Can`t play COD,MHOAA & battlefield 1942. Can I play Battlefield 2 and far cry?